Andrew Crisp is the principal solicitor at Mason Bullock Solicitors. He specialises in employment law and dispute resolution. He has particular expertise in advising on settlement agreements and applications to set aside judgment. He did his law degree at Exeter University and then stayed at Exeter to do his Diploma in Legal Practice. 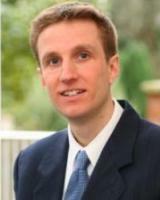 Andrew trained as a solicitor with a firm in Birmingham. After he qualified in 1999, he went on to specialise in Employment Law and General Litigation. He joined Mason Bullock Solicitors in 2002 and became a partner in 2006. When Ian Mason retired from the partnership at the end of 2017, Andrew became the sole owner of the business. If you would like to contact Andrew Crisp, please complete the form below.